Home > News > Fertility and Health > Is it Impossible to Be Fertile Over 40? Although your chances of conceiving a child after you turn 40 are lower than what they were when you were in your 20s and 30s, it is certainly not impossible. In fact, most women who become pregnant in their 40s normally have healthy pregnancies and healthy babies. However, there are some important things you should know if you want conceive aged 40+, including associated risks. As you age, the number of eggs you have in your ovaries declines. What’s more, as you approach menopause, your ovaries are not as responsive to the hormones which are responsible for ovulation. For the same reason, fertility drugs can often be affected. If you are over the age of 40 and you are struggling to conceive a child, it is important to seek medical advice as soon as possible. The longer you leave it, the less likely you are to become pregnant! A professional will be able to carry out tests to find out if you or your partner have any other issues with your fertility, unrelated to your age. 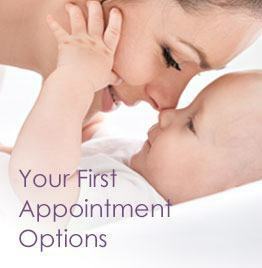 They will be able to suggest some suitable treatment options and give you the expert advice you need. It may be that you require IVF. With that said, it’s wise for women over 40 to give birth in a hospital, rather than at home. So, while being an older mum isn’t out of the question, it may be harder or take longer to conceive and comes with several risks. If you would like to know more about the treatments offered by Concept Fertility, please don’t hesitate to give us a call or book a consultation.